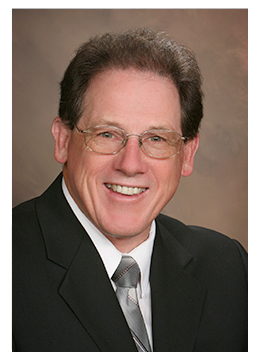 Dr. Dean S. Ellyson, D.C.
About Dr. Dean S. Ellyson, D.C.
A graduate of Palmer College of Chiropractic, Davenport, Iowa, Dr. Ellyson has practiced in California since 1974. He graduated in December of 1973 and took Post Graduate Courses at Cleveland College of Chiropractic in Los Angeles. Dr. Ellyson then practiced in the 3rd largest Chiropractic office in California for 3 years, where he became Associate Director in a short period of time. He then opened his own practice in 1977. Dr. Ellyson speaks at Chiropractic seminars on a wide range of topics – topics of interest to practicing D.C.’s, interns and students alike. Dr. Ellyson holds Spinal Care Classes for all new patients and the public. This enables him to teach patients how to help themselves prevent from returning & lead healthier and happier lives. 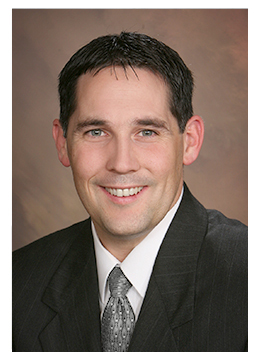 Dr. David S. Ellyson, D.C.
About Dr. David S. Ellyson, D.C.
A graduate of Palmer College of Chiropractic, Davenport, Iowa, Dr. Ellyson has practiced in California since 2003, serving the Yuba-Sutter area. He loves to speak publicly on subjects related to health, at local schools, large church groups, different businesses and other gatherings. He also teaches new patient spinal care classes weekly. Dr. Ellyson loves to help as the team chiropractor for several local high school teams, as well as the collegiate Yuba-Sutter Gold Sox baseball team. You’ll often see him coaching multiple recreational teams as well. Why I became a chiropractor. At age 16 years old I suffered a severe left shoulder injury and a significant concussion during a high school football game. The next 18 years I lived with chronic shoulder pain that spread to my neck, mid back and low back. My neck pain became weekly headaches. My back pain became poor digestion and then heart burn indigestion. My shoulder pain became hand numbness and weakness. I could not even trust my left shoulder or hand to hold of grip objects with confidence. Every day I lived like this for two decades almost. Then one day at the county fair, I was doing my normal behavior, rubbing my shoulder against the corner of the building, like a bear does to a tree, when the local chiropractor called me over to his booth. I decided to try chiropractic medicine and made an appointment. This is when the magic started. I felt better because after 20 years of chronic pain someone finally told me they could help. After my exam, x-rays and report findings I began to believe that I could live pain free. After 6 adjustments over two weeks, my pain and issues decreased by 70%. I could not believe it. After this experience I decided to become a chiropractor. "Here at Ellyson Chiropractic we have three main goals: first, we want to relieve your pain, second, we want to strengthen your spine and postural muscles to keep the pain from returning, and third, we want to help you prevent that awful pain from returning." I have been under Dr. Ellyson’s care for about 6 months. I came from another chiropractor’s practice. In the past, I would be in as much pain following treatment as before. Today, after having a very difficult week, had an office visit with stress pain in my neck. After treatment this morning I asked him if I should expect soreness later, he replied, “No”. I’m seven hours after the treatment and have NO PAIN, no soreness and feel great. I’m so thankful! Ellyson Chiropractic always give me great care. They are knowledgeable and very caring. I am confident that when I need an appointment I will get it right in. Doesn’t matter what type of pain I may have , every time I get treated I feel better . Dean and David are friendly and always there for you. Great chiropractor practice! Our whole family, also my mother in law go to Dr David. Dr David and Dr Dean do a fantastic job of fixing our bones that are out of whack. We will always go to Ellyson Chiropractic and we recommend them to babies, young children, athletes, and to well seasoned folks. Thank you for keeping my family healthy. Here at Ellyson Chiropractic we have three main goals: first, we want to relieve your pain, second, we want to strengthen your spine and postural muscles to keep the pain from returning, third, we want to help you prevent that awful pain from returning.